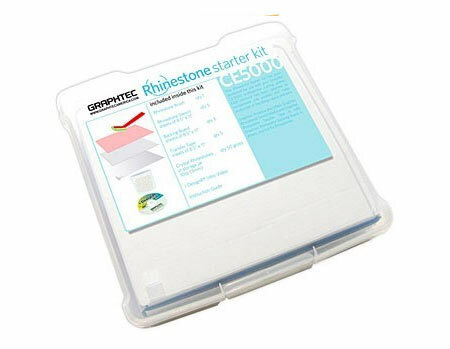 This Rhinestone Starter Kit has been developed for use with your Graphtec CE5000 (including CraftRobo Pro) professional cutting plotter. Each element has been selected to complement one another and make production of the design quick and easy. Graphtec America also offers Graphtec Rhinestone Stencil Media and Graphtec Rhinestone Transfer Tape in rolls; Graphtec Rhinestone Backing Board in sheets, and hot fix Rhinestones.